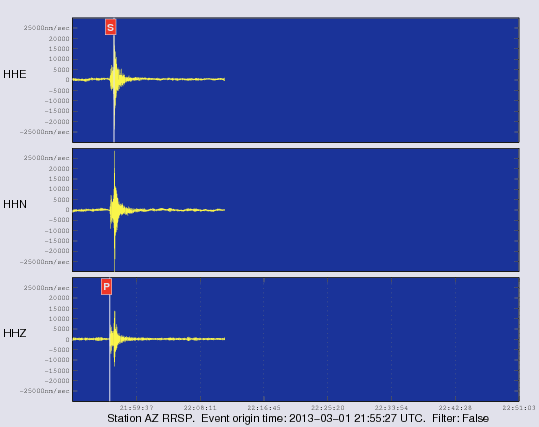 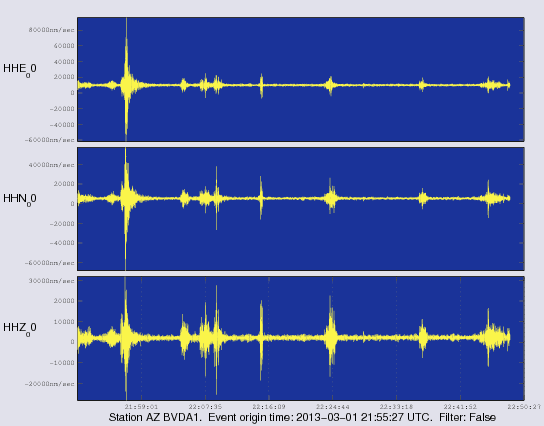 On Friday March 1 2013 at 1:55 PM (PST) we recorded an earthquake (preliminary M 4.1) located near Searles Valley. Initial source parameters for this tremor are indicated below. The epicentral distance (i.e. 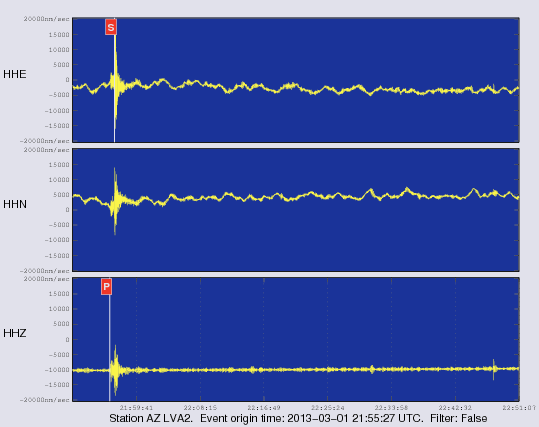 the distance separating the epicenter and the closest station in the recording network) for Anza is 193 km (1.73 degrees). We operate a broadband station at the Santa Margarita Ecological Reserve. 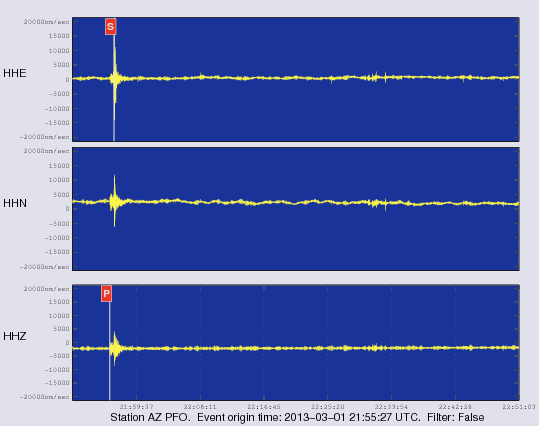 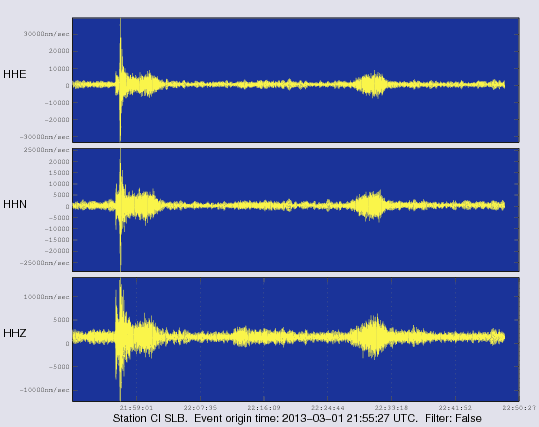 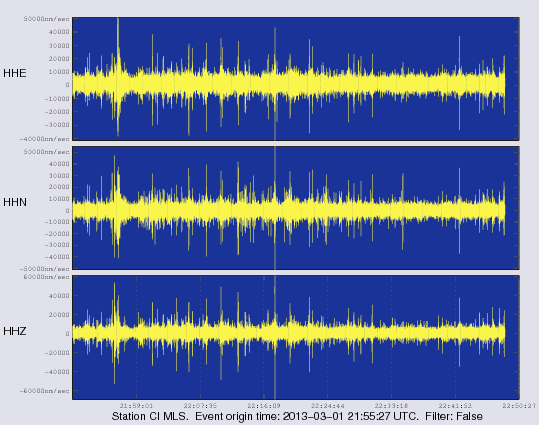 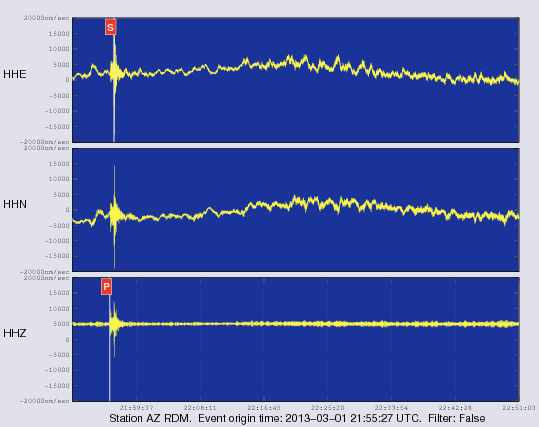 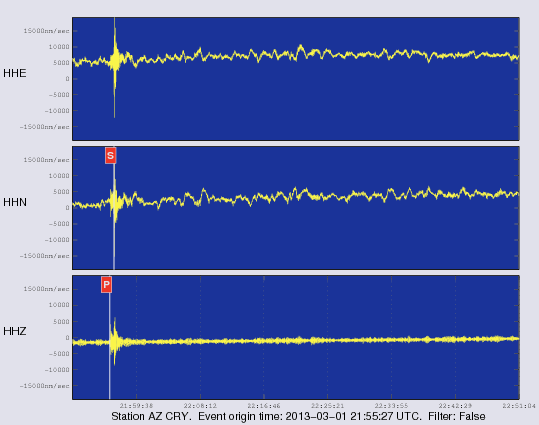 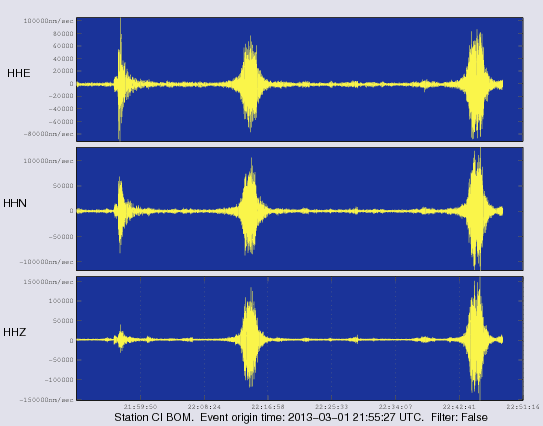 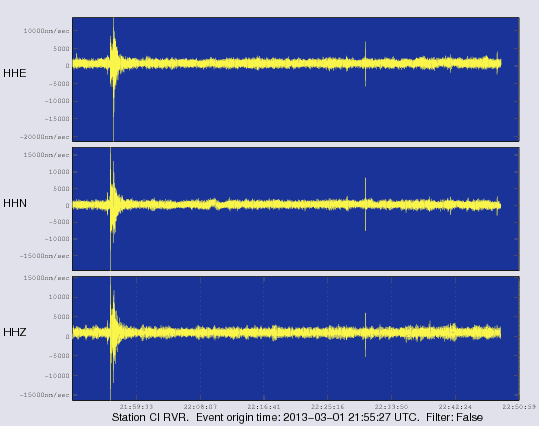 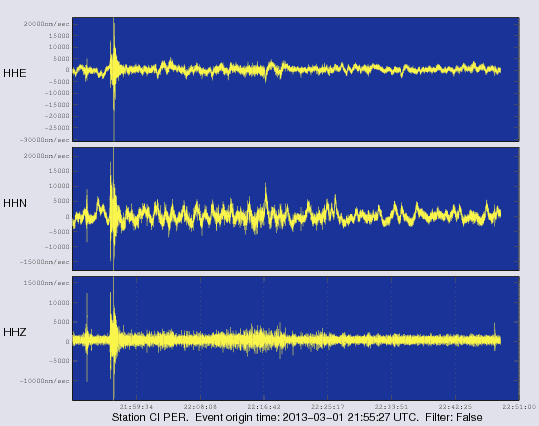 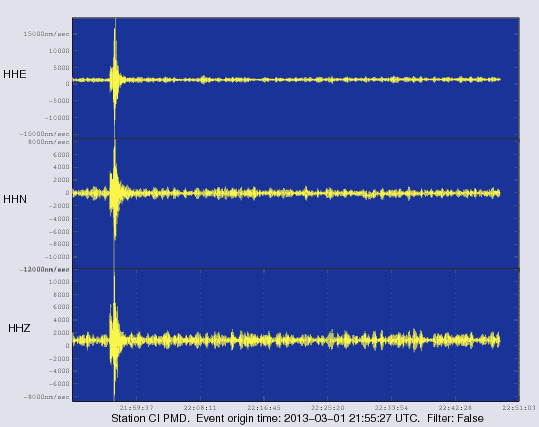 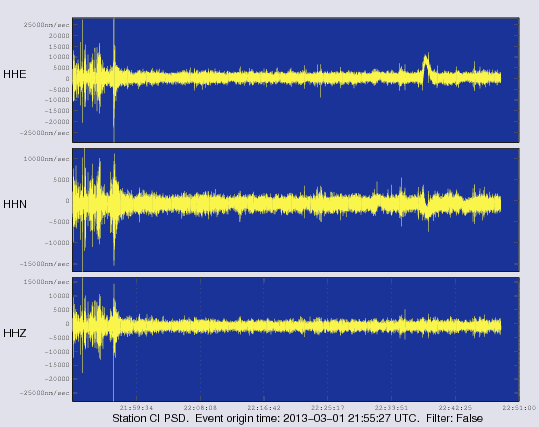 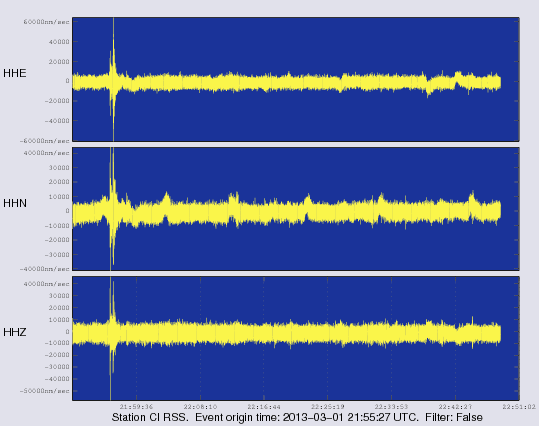 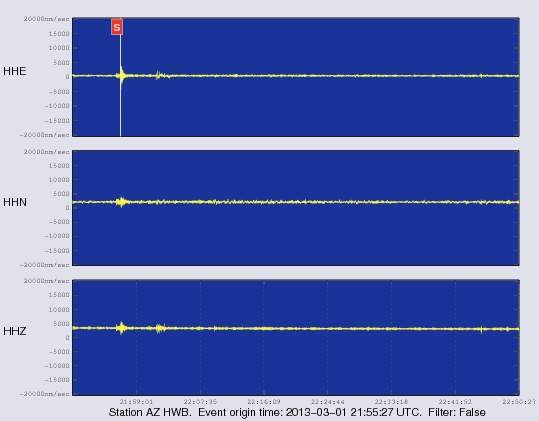 At 13:55 (PST) station SMER recorded the P wave from this event. Here is a view of that event as picked by our analyst. A red P indicates a P wave arrival, a red S indicates an S wave arrival.